A car thief has narrowly been spared from jail after he stole a Ford Focus from a finance dealership. 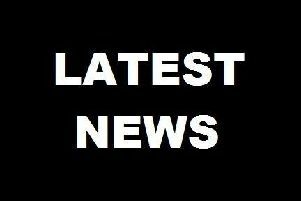 Chesterfield magistrates’ court heard on Tuesday. April 17, how Richard Morgan, 51, of Miriam Avenue, Somersall, Chesterfield, stole the £9,600 vehicle from MotoNovo Finance after failing to make payment instalments with the Rowsley-based company. Prosecuting solicitor George Speed said: “The gentleman purchased a blue Ford Focus car using arranged finance with the company. “The purchase was for £9,600 and finance and charges and fees were £4,629 making a total arrangement of £14,279 over six months. However, Mr Speed added that Morgan only made two payments and the police became involved and they tracked him down after he had been in touch with the DVLA about his driving licence. Mr Speed said police arrived at Morgan’s address where the Ford Focus was found parked with false plates and its vehicle identification number had been obscured. Morgan admitted to police that he had kept the vehicle even though he knew it had been reported stolen and he had put false plates on the Ford Focus to avoid detection. The defendant, who has no previous convictions, pleaded guilty to stealing the Ford Focus from MotoNovo Finance, on Bakewell Road, Rowsley, near Matlock, after the offence was committed in April, last year. Defence solicitor Julia Jackson said Morgan had needed the car for his work and for ferrying his children around but realised he could not afford to keep it. She added the vehicle’s gearbox broke and he did not want to give the Ford Focus back partly working so he made a stupid decision to keep it while working out what he could do. Ms Jackson said: “He never thought it would go through the courts and he thought there might be give-and-take with the company and they would work it out. Magistrates sentenced Morgan to 15 weeks of custody suspended for one year with 180 hours of unpaid work. Magistrates warned Morgan if he committed another offence or failed to comply with his suspended sentence order he could expect to be sent to prison.